After nearly two years of sitting on the sidelines, Trestle “Jun Minion” Tan, 33, of Cebu City, Philippines is about to make his return to the ONE Championship cage. He will compete at “ONE: Pursuit of Power” at the Axiata Arena in Kuala Lumpur, Malaysia on June 13, 2018. The Filipino mixed martial artist will face “Crazy Dog” Park Dae Sung, 25, of Seoul, South Korea. They will compete in a catch weight of 80kg. “ONE: Pursuit of Power” marks Tan’s fourth ONE Championship bout. On the other hand, Park is one of the three “Rich Franklin’s ONE Warrior Series” Season 1 winners and is competing in an official event of the promotion for the first time. Tan last seen in action when he yielded to former world title contender Agilan “Alligator” Thani by way of first-round submission at “ONE: Unbreakable Warriors” at the Stadium Negara in Kuala Lumpur, Malaysia on September 2, 2016. The Filipino contender went on hiatus after the loss. 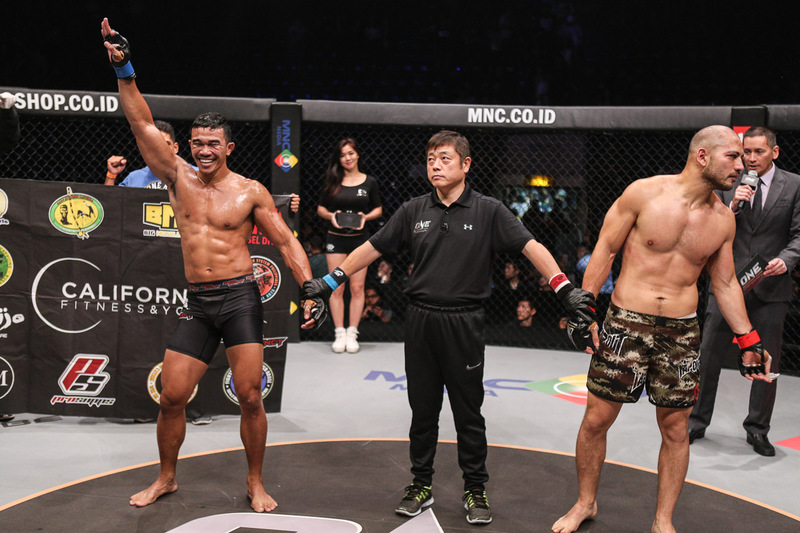 Seven months before losing to Thani, Tan made previously-unbeaten Mexican stalwart Djatmiko Waluyo, 35, of Mexico tap with a rear naked choke in the first round at “ONE: Tribe of Warriors” at the Istora Senayan in Jakarta, Indonesia. This was the last time the Filipino fighter won in the cage.